Hello friends, today I’m going to tell you about the best laptops. Especially for those people who want to buy a great laptop for Youtube videos editing and other kind of video editing. A good laptop is necessary for every youtuber. Because many YouTubers have such work, which can not be done professionally by Mobile in a professional manner. Such as Video Editing, Audio Editing, Video Thumbnail and more. In this way we have made a list of 7 Best Laptops for video editing Under 50,000. I have created this list specially for youtubers. But if you are Album song video editor or you want to buy a best laptop for video editing purpose the you are the right palace. Guys whenever we planned to buy a new laptop from offline shop or online , we make a mindset of our budget like we need a laptop under 50k, 40k, 30k, or any budget depends on person. Suppose if a person need to buy a laptop under 50,00. Then he /she simply search on internet Best Laptop under 50,000 rupees and where he find the ram and Processor is good. He just make his purchase. Because most of the people just check the size of the RAM (4, 8 or 16GB), Storage Size (500GB, 1TB) and the processor’s version (i3, i5 or i7). But many innocent people don’t understand that Good laptop is not made only with good RAM and Storage. What is the RAM in the Laptop based on which technology and what is its quality? What is the Storage Type? How do we get data transfer rate? Which technology is used in Processor? What’s its Clock Speed? While these features are very important part, to improve the performance of a laptop and we all know. We do not buy Laptop for a month, two months or 6 months. Whenever we buy a laptop, we have to use it for 2 years, 4 years. In this case, it is very important to get information about every single feature before buying a new laptop. I have told about the number of best video editing laptops here. This is the best in all the 50000 Laptops list and their performance and users reviews is much better than others. Dell Inspiron 11 3158 is 7th Best laptop in the list of Best Laptops for video editing, which we can buy. This is a 360 Screen Rotation Laptop, where we get touch feature too. Intel Core i5 processor will be a 6th generation processor and with 2.4GHz Clock Speed. We will get 4GB & 8GB RAM which will be a DDR3L RAM. In Storage, we will get a fast & reliable hard disk of 500GB & 1TB space. Along with Windows 10 integrated operating system. Intel graphics If we buy upgrade version we can get 2GB graphics card. Dell Inspiron 11 3158 current price is Rs. 44, 491 and You can get the complete specification and information about buying from this link. 4. Sixth gen i3 is power horse yet gives decent battery life (>7 hrs). 7. Touchpad which has similar gestures to Mac(like two-finger scroll), this may be present in all new Dell laptops though. 8. Sturdy hinge when using Tablet mode. 9. No heat near keyboard. Lenovo IdeaPad 320 can be easily available at an online store like Flipkart, Amazon. It is a DOS based laptop but you can install windows as well. It has some really good specifications. INTEL CORE I5- 8250U /8TH GEN / 8GB DDR4 RAM / 1TB HARDISK / 1.6GHz. INTEL HD GRAPHIC / 15.6″ FHD (1920 x 1080) / WIFI / BLUETOOTH/ WEBCAM. DVDRW / HDMI / LAN / USB 3.0 / USB 2.0 / C-PORT / WINDOWS 10. Lenovo IdeaPad 320 current price is Rs.45,999.00 and You can get the complete specification and information about buying from this link. Streamline your day with Windows 10 . Keep it simple with Lenovo App Explorer. Redesigned touchpad, for improved responsiveness . Audio clarity at any volume. Instant access at your fingertips. 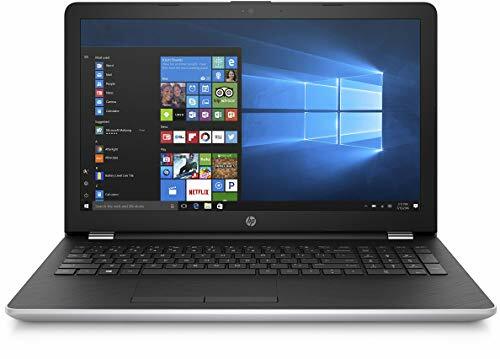 Best laptops for video editing :- HP laptops are the most famous laptop laptops in Pavilion Series and HP Pavilion 13-U131TU is on 5th number in the list of Best laptop for video editing under 50000. Which can be the best laptop for a YouTuber, in terms of performance and reliability. This is a 13.3inch display Laptop. In which we will get better resolution as well as touch feature. If you talk about it using a tool like Camtasia Video Editing Software, then we can use such tools in a very easy way. Because we get these cool specs in this Laptop . HP Pavilion 13-U131TU current price is Rs. 44,490and You can get the complete specification and information about buying from this link. Note : Using MS Office 2016 PowerPoint, we can make YouTube Video Thumbnail of Best Quality and also create animated video when needed. Read also: How To improve Battery Life of Laptop ? Whether it is a high end laptop or entry level laptop hp launches their laptop in every budget segment. No matter what is your budget you will get Laptop in every budget segment and you cant ignore them. The HP NOTEBOOK 15- BS179TX is powered by a 3.4 GHz Intel Core i5-8250U (8th Gen) processor, which features the latest processor technology which is employed by Intel. It also provides for the smooth performance of your laptop on all the fronts. HP NOTEBOOK 15- BS179TX current price is Rs. 49,099 and You can get the complete specification and information about buying from this link. Dell Vostro 15 3568 is on 3rd number in the list of Best laptop for video editing under rs 50000. According to the manufacturer, Dell’s latest Vostro 15 3568 is targeted towards small businesses, but might also be interesting for video editor. It is an affordable and therefore, simply designed office notebook in the 15-inch format. Talking about OS we will get windows 10. Dell Vostro 15 3568 current price is Rs.45,990. and You can get the complete specification and information about buying from this link. 4. Matte finish looks better than glossy. But, it is also a dust magnet. 5. Anti glare HD screen. It is NOT full HD. 6. There are no overheating issues. Best laptops for video editing : If we want a core video editing laptop then there should be a laptop which should be good with softwares as well as the hardware should be much better and Asus’s Laptop is the best in both of these cases. .
We will get Intel core i5 7th generation processor, with Clock Speed ​​3.1GHz. 8GB DDR4 RAM will be found. Get Nvidia GeForce 940MX 2GB Graphics Card. we will get 15.6inch display and 1TB 5400rpm Serial ATA hard drive. The price of Asus R558UQ-DM513D is 41,900 Rupees. For information about anything related to its warranty related or specifications, click on the below button. This is an on demand Laptop and has got 8.1 rating according to Value for money product. This is the most feature of the Laptop, in which we will get a full HD screen of 15.6 “, which we get to see in a very little Laptop. HP 15-BS180TX Price starts from Rs.44,400 and will increasing depending on its specification and feature. For information about anything related to its warranty related or specifications, click on the below button. Friends, this is 7 Best laptops for video Editing Under 50k list. 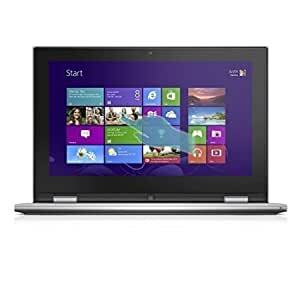 Whether it is related to Video Editing or any software related to Image Editing, we can buy any of these laptops. If you use any of these laptops, tell me about it in the comment section. If you think we missed anything let us know in the comment. If you like this post please share it with your friends on Facebook.